It was a wet Saturday afternoon and I was sat in a dark room looking down a microscope. Then I saw it – something that no-one had ever seen before. This was my “Eureka” moment and encapsulated what it’s like being a scientist of the natural world. The Ancient Greek Homer knew a thing or two about science; he said that it was the knowledge of nature, true for every community, as opposed to local customs and superstitions. Since that time, science has gradually uncovered more of nature’s secrets one by one. This uncovering of secrets using science is basically detective work. We sit and watch nature for hours, days, and months. Maybe we see nothing for a long time; maybe we see more than we bargained for. And at the end, our equivalent of a defendant being found guilty is the publication of your research findings that results following peer review. For my first job interview, one of the panel asked me whether I liked to do crosswords. Funny question, I thought, but a lucky one, as I had started to learn about how to crack cryptic crosswords. I said yes and got the job. The interviewer was really asking whether I was patient and did I have the deductive thought processes to progress though a scientific investigation. You don’t have to be a working scientist to do science. When I was a child I kept mini worm and butterfly farms and made unwritten observations every day. When I was at high school, this came in useful when I had to think of a biology project. I stuck a brick in our garden at home, monitored what I found underneath it every day and called the project “Life Under a Brick”. I won. The scientific study of nature can take many forms – from chemistry to physics and biology. With medical research, we use all three, but mainly biology, to uncover how humans develop and age and what can go wrong and result in disease. In my area – the early origins of disease – we have found that the time spent in the womb in the most formative part of life because our bodies are at their most vulnerable. Together, those who study our DNA and the proteins that it codes for, work together with doctors who see the patients, collect their samples for study and return the favour by applying newly-discovered treatments. 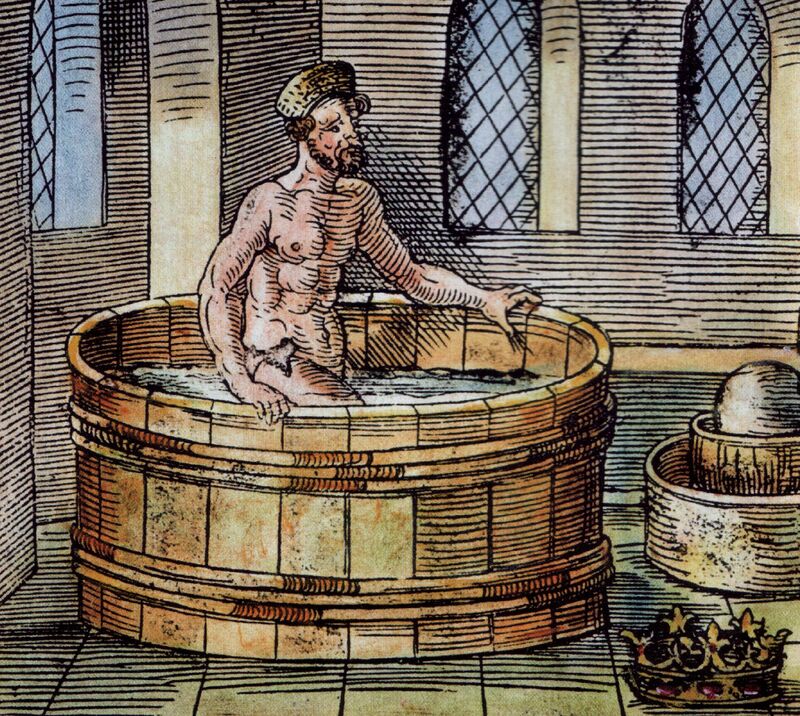 A few centuries after Homer, another ancient Greek, Archimedes, stepped into his bath, saw the water rise and realised that he had found a way to measure the volume, and hence the density of a gold crown that a friend of his had suspected wasn’t pure gold. This thought caused him to yell out “Eureka!” (“I have found it”) and promptly ran to see his friend, not realising he was naked. For scientists, the thrill of discovering new things is the same. When I had my microscope moment, I immediately ran (with my clothes on) to tell a colleague down the corridor. Today, I guess, I would have Tweeted it. There are other ways to celebrate a discovery. A colleague wanted to make her mark on the gene she discovered and called it “RING” – short for “Really Interesting New Gene”. This gene is now known to be part of a family of genes all sharing a particular characteristic in their protein called the “RING finger”. Scientists do have sense of humour too. Eureka moments can also come before the discovery. They can be the time when you put together your thoughts with those of others and come up with a hypothesis that can be tested. In a way, this was similar to Archimedes’ experience. Back to my specific area of research. Like all my colleagues at the Murdoch Childrens Research Institute, I want my research to lead to the detection, prevention and treatment of childhood disease. Maybe it was seeing my sister cured of childhood leukaemia that inspired me to start my career in medical research? It certainly made me aware that every step of her journey, from her diagnostic blood tests, right through to her chemotherapy were all products of medical research. In the end, “breakthroughs”, such as the dramatic increase in survival for childhood leukaemia, mostly come from years of work by many researchers. I want to be among the number.